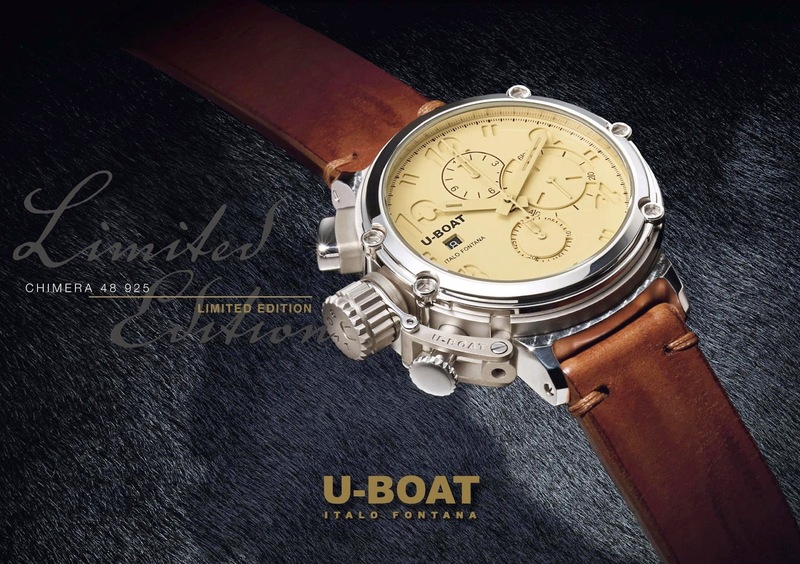 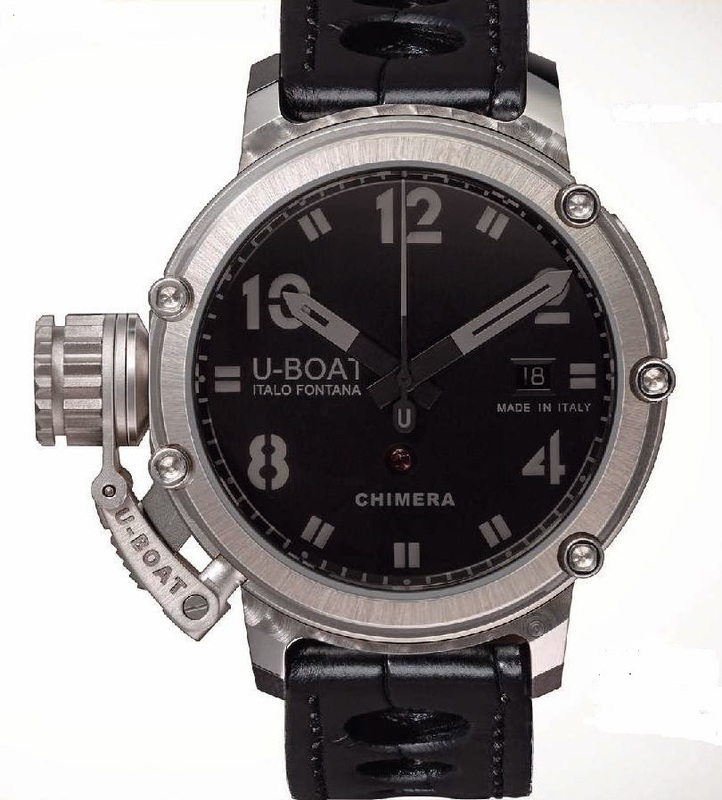 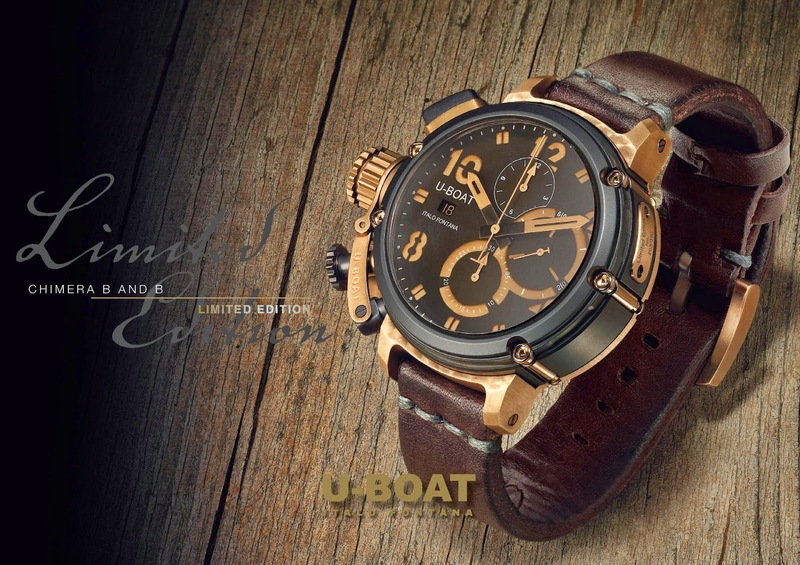 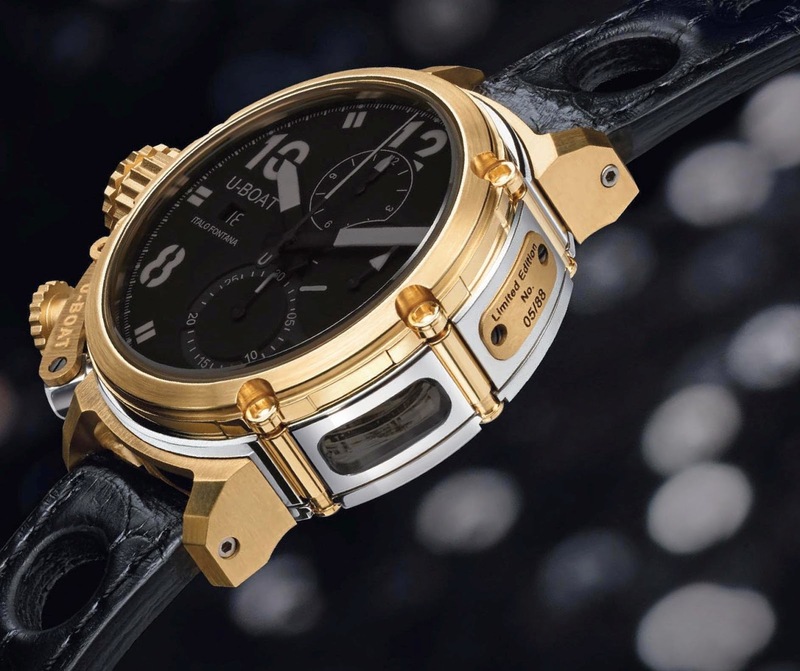 U-Boat CHIMERA Collection offers fine automatic mechanical timepieces in several versions: time only, date, chronograph & GMT. 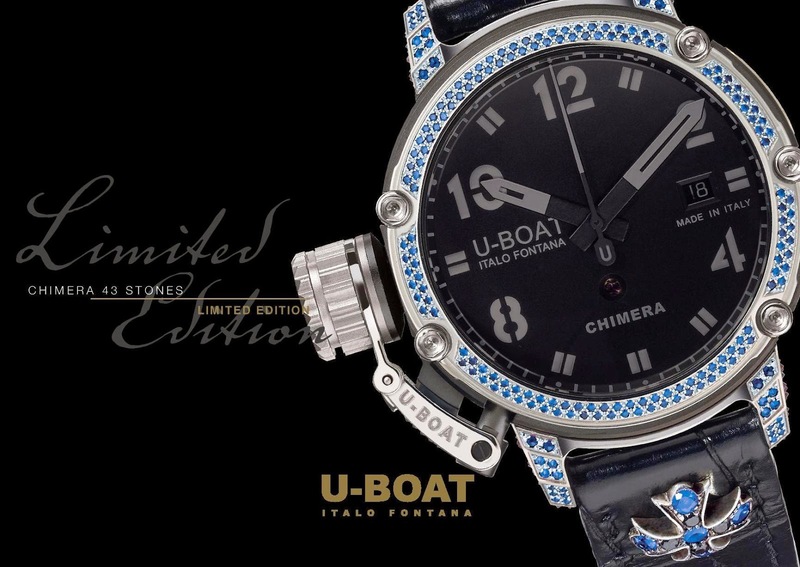 Available in different case materials and sizes, the CHIMERA timepieces are also available in jewellery versions set with diamonds or semi precious stones. 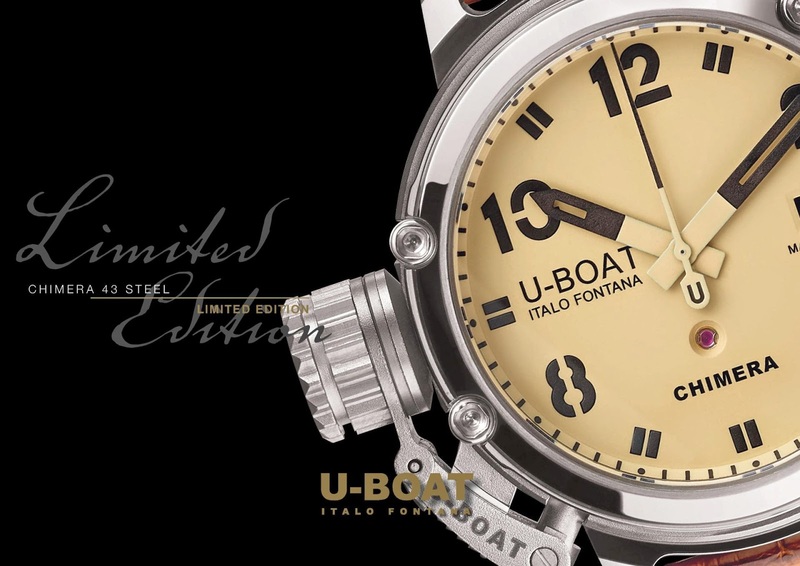 A special feature of these timepieces is an innovative steel crown release system (patented) at 8 o’clock for easy time and date setting. 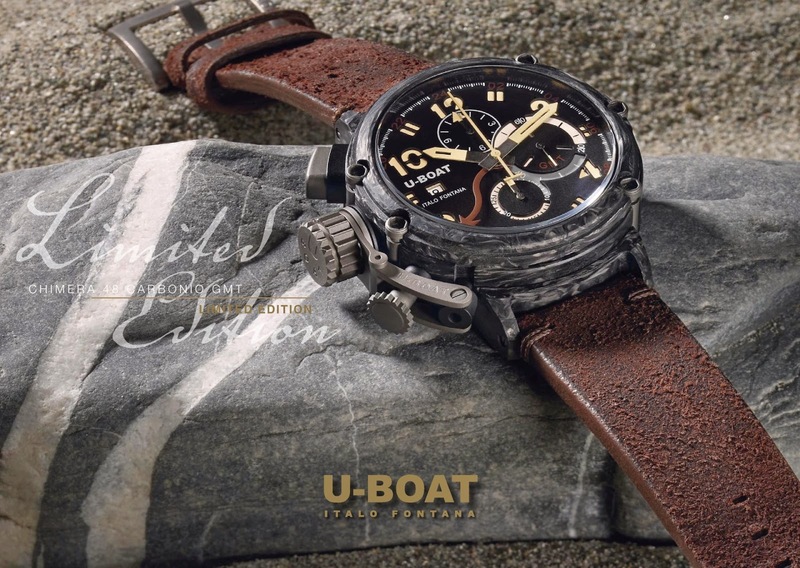 Back case, external tubing and screws, protection device of the winding crown, chrono pushers frame and serial number plate in bronze, naturally aged. 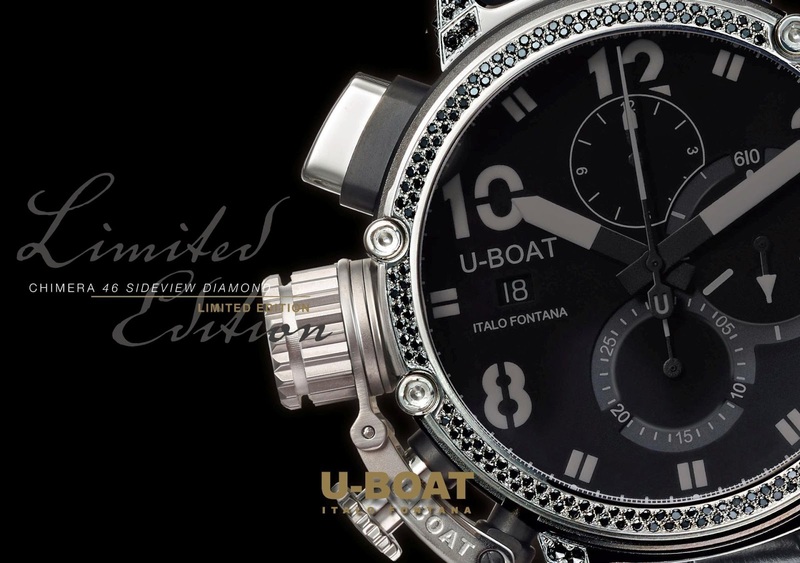 Personalized rotor, in silver, 3 bridges construction, rhodium plated and fixed with blued screws. 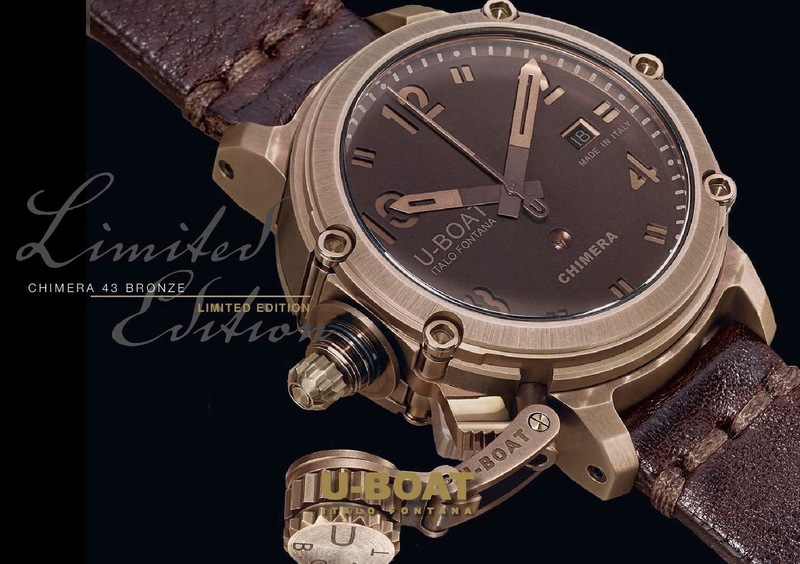 Back case, external tubing and screws, protection device of the winding crown and serial number plate in bronze, naturally aged. 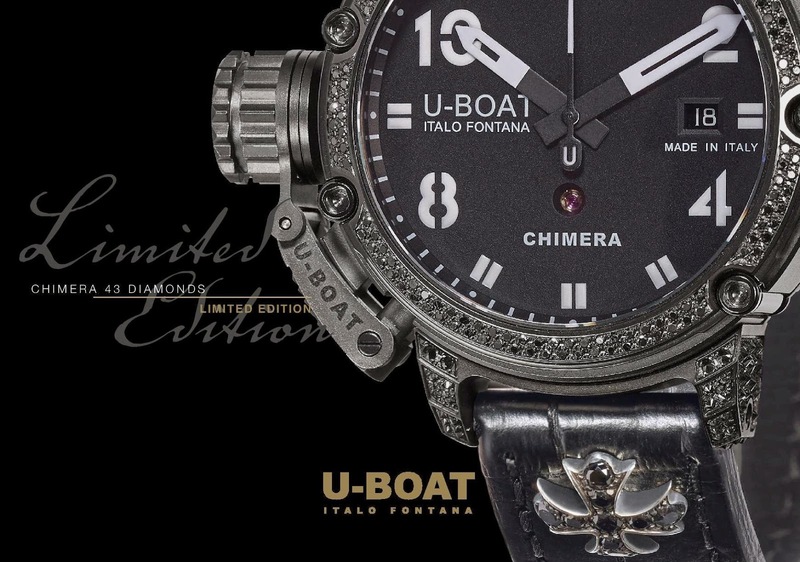 Total weight of the silver: 100 gr. 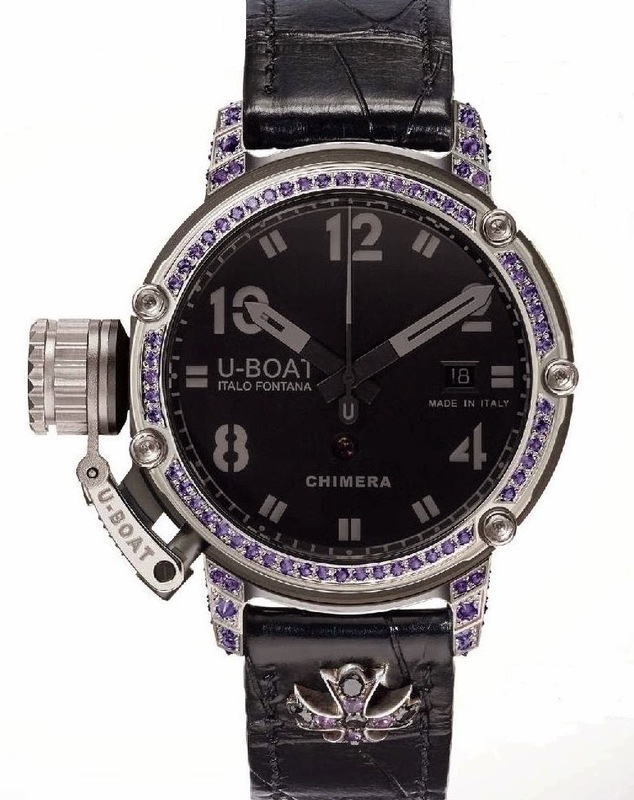 Tongue steel buckle, embellished by 16 precious stones (emeralds / amethysts).